Joseph S. Monestere, owner and founder of Cove Opticians Ltd., started in the field of Opticianry in 1964. After being educated and passing the New York State Boards in 1968, opened Cove Opticians in Glen Cove on September 21, 1971. 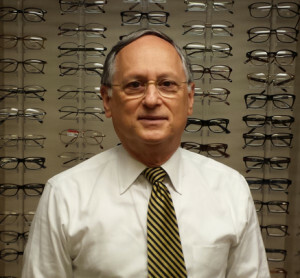 Mr. Monestere was the President of the Long Island Chapter for the New York State Society of Opticians for four years. He was a NYS Board Member with the State Education Department in Ophthalmic Dispensing for ten years and an extended board member for another ten years. Mr. Monestere was awarded the distinguished New York Optician of the Year Award in 1991, and Cove Opticians was awarded, by the Nassau Council of the Chambers of Commerce, the 2004 Businessperson of the year award. In June of 2012, Mr. Monestere’s two year term as President for the Opticians Alliance of New York ended. In 1990 Cove Opticians expanded its scope of practice with Audiology. With his wife Lenore Monestere who is a Board Certified Hearing instrument specialist and Audioprostologist and their daughter, Dr. Danielle Monestere, Aud, Doctor of Audiology, the Monestere family is able to handle your optical and hearing aid needs.